21-Apr-2011 -- We visited this point whilst holidaying on the beautiful isle of Sicily during the Easter break. 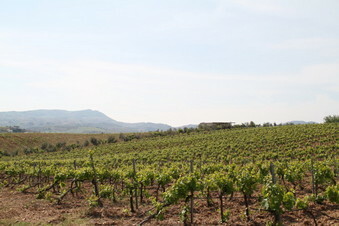 The point lies close to the SS113, and is located down a dirt track on farmland where grapes, olives and walnuts can all be seen being grown. More specifically, the point appears to lie just under a large cactus, which is itself next to a barbed wire fence. The area is very tranquil, with nice views of mountains to the South and West. We saw ant hills and several fossils of sea creatures very close to the point. This point is well worth visiting on a nice, sunny day, if you fancy a leisurely stroll.